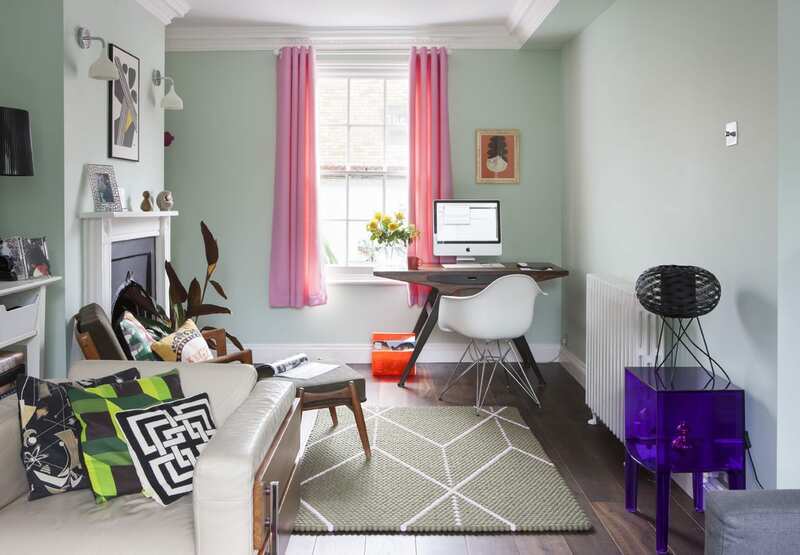 This family home combines a fresh style with a kooky sense of fun. Choosing the right finishes and colour scheme was crucial to accommodate our clients’ vast collection of eclectic furnishings and accessories. 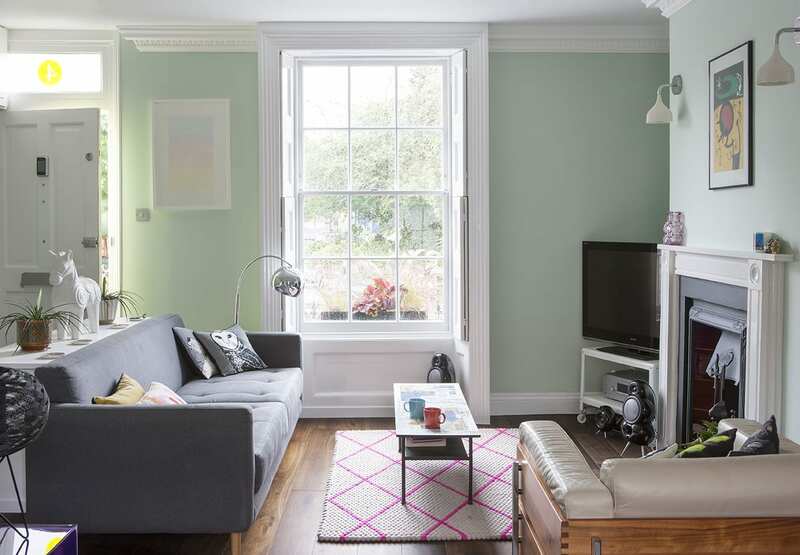 The result is a home that’s both cheerful and bright, with a welcoming feel. 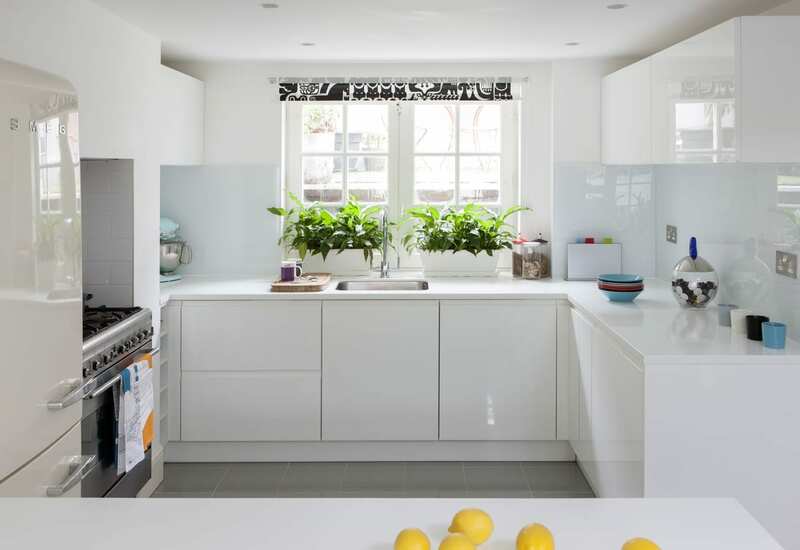 Simple storage solutions, including magic corner baskets, shelving and large soft-closing drawers keep the room streamlined and clutter-free. 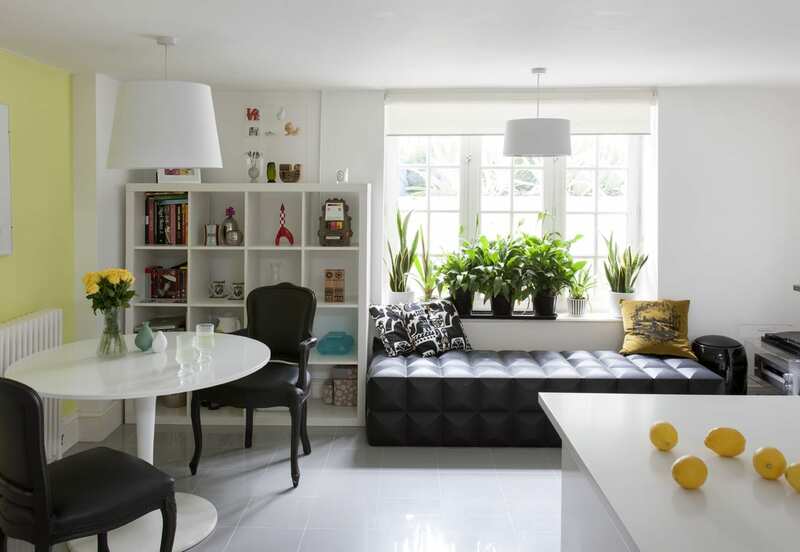 This round tulip style white table and pair of Opaque Black Louis Ghost armchairs adds great contrast to this angular room. 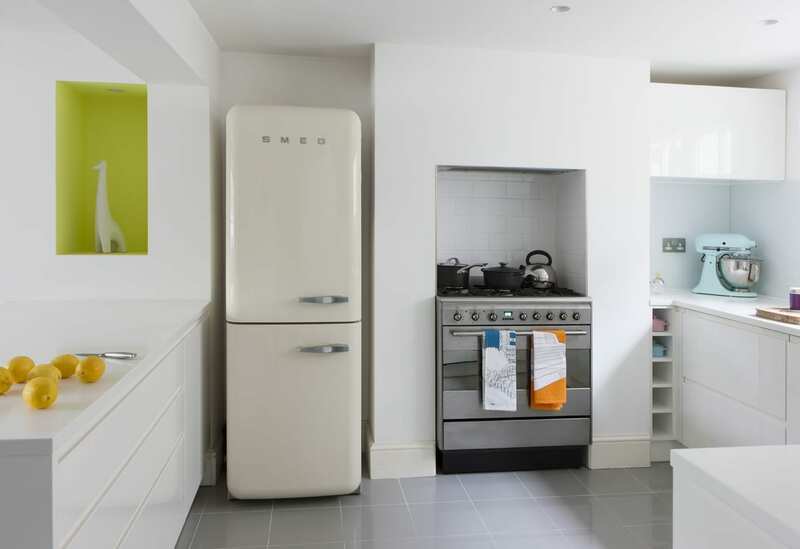 As soon as you enter this space you are faced with an eclectic balance of mid-century design and quirky accessories. 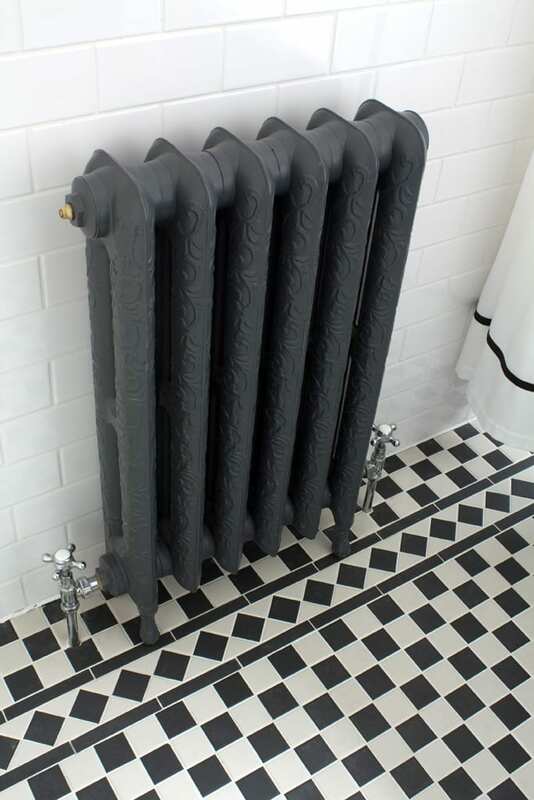 This classic bathroom is a great reflection of 1950s retro victorian tub with this oval shower rail completes the look with these amazing black and white tiled floor. 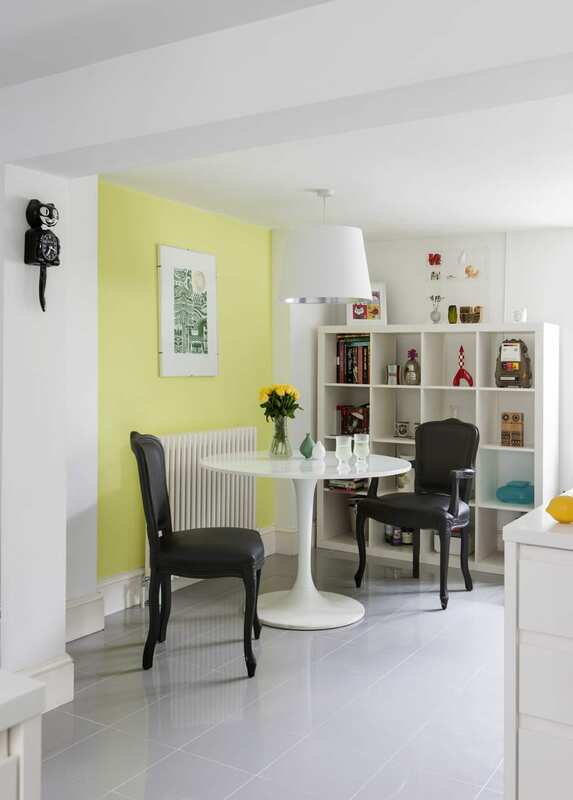 Bright accessories add a burst of colour to this space. 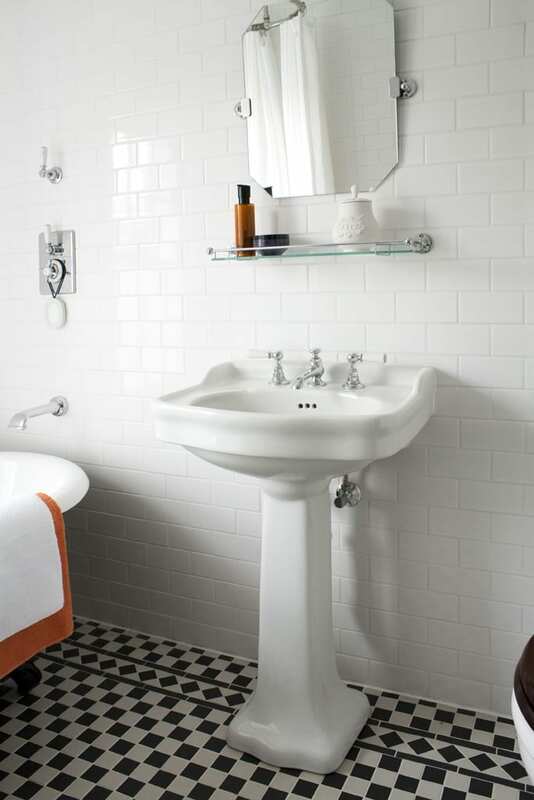 The curvaceous Victorian style Lefroy Brooks Charterhouse Basin and Pedestal compliments the classical feel of the bathroom. 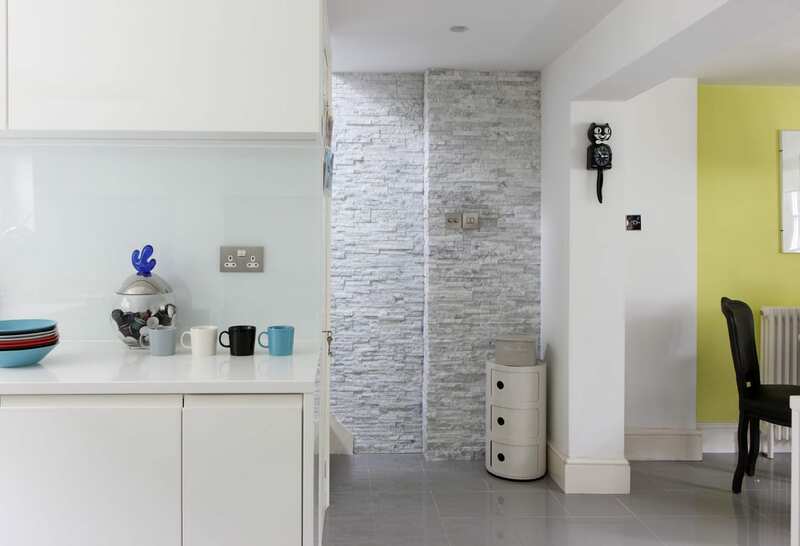 We focused on simplicity and style and kept the colour palette monochrome. 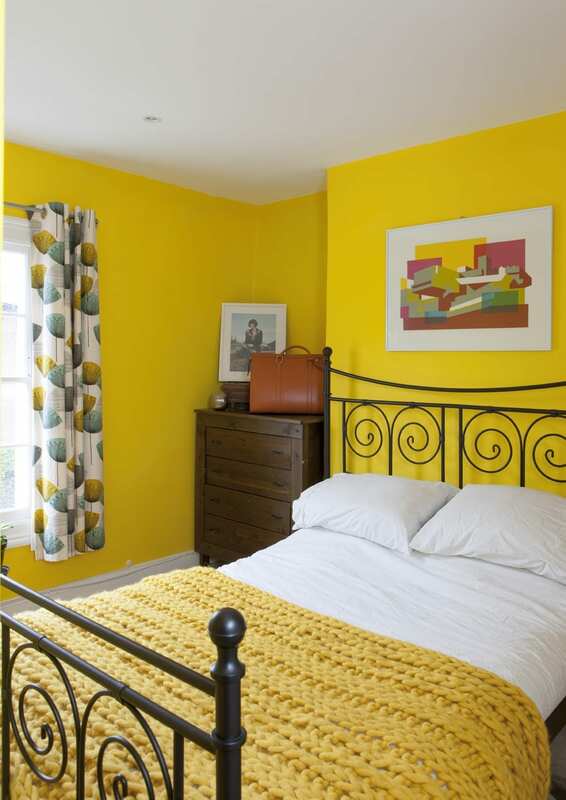 Bright Yellow walls sits in the sunniest place off the house giving an uplifting feel to the space at all times. 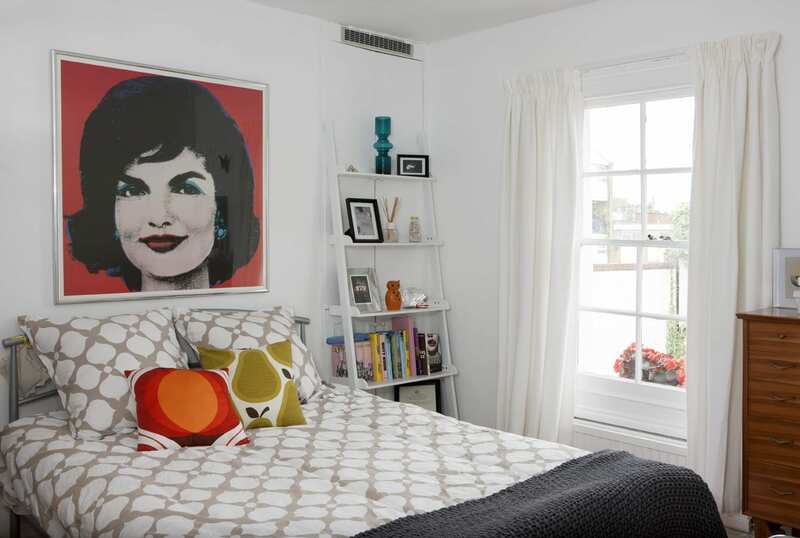 White walls in this Guest Bedroom allow for the introduction of this bold pop-art image of Jackie Kennedy 'Jackie, 1964' print by Andy Warhol.